Virtually identical to the Da Bomb. Differences being that this A-Line version is made from polycarbonate plastic, has increased weight, domed side disks, and "speed string" (whatever those mean). 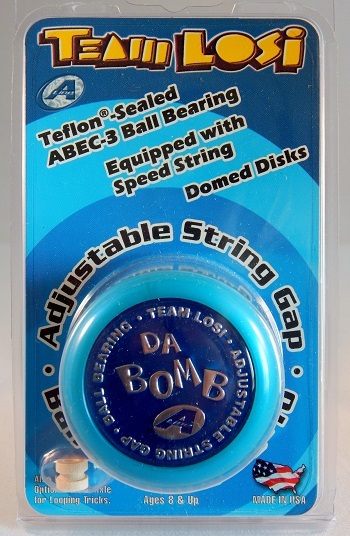 Uses a teflon-sealed ABEC-3 ball bearing axle. Came with two weight rings and an optional wooden axle. Weight specified is without the weight rings installed. Also has an adjustable string gap. Original retail price: $19 US.